violent storm? An attack of blight? stronger tree growing beside it? 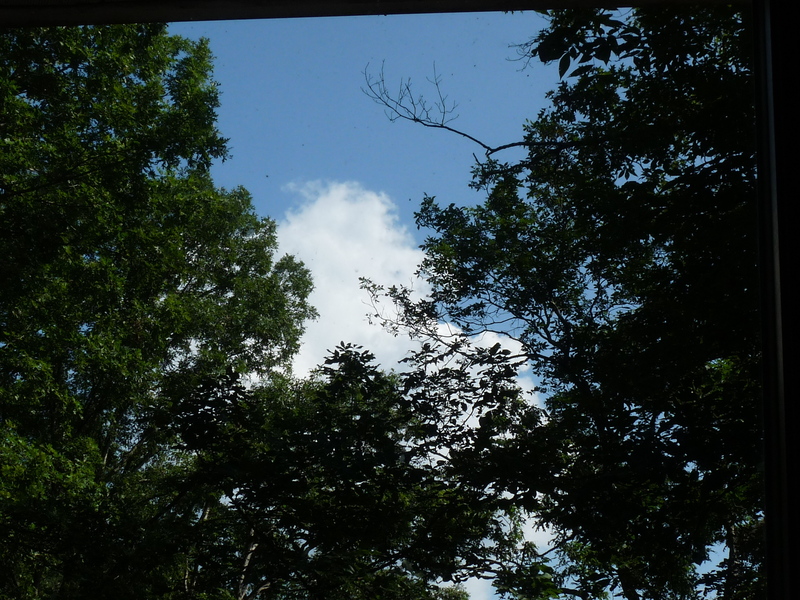 day across a brilliant blue sky. Today is the date on the calendar that will forever be noted as “9/11” rather than merely “September 11th.” This picture (snapped by a photographer on the scene on 9/11/2015) is the visual image that many of us hold in our hearts on this day. The dead man being carried out in his chair by 5 other men is Father Mychal Judge, the Franciscan priest who served as chaplain for the New York Fire Department. He is #001 on the official death toll listing of all those who died in the terrorist attacks on that clear September day in 2001. From all reports, Fr. Mychal was a fine man of deep integrity, and he risked – and lost – his life in the service of others. As, of course, did many, many others. But because of this picture, Fr. Mychal has become kind of a cult hero, larger almost in death than he was in life. Perhaps it is our way of giving a face to the otherwise incomprehensible horror of the sudden vicious murder of almost 3,000 people. No mistake about it, Fr. Mychal is a hero. But as we at the monastery gather today for Morning Praise – on this day of all days – it also seems important not just to be inspired by and to remember, as we usually do, the lives of those who are now dead. But instead to note, celebrate, and hold on to – as this picture shows so clearly – the lives of those who still live, whose names we don’t recognize, who are merely ordinary people who quietly go about being peacemakers wherever and whenever they happen to be. Those who step in when needed and lift up and carry those who, for whatever reason, are unable to do so for themselves. Because I don’t recall ever hearing the names of the other five folks in this famous picture, I did some looking. I could only find the name of one of them. The man in the white police uniform is Bill Cosgrove, who was a lieutenant at the time with the New York Police Department. He never met Fr. Mychal; he just happened to be the one who found his body in the midst of all the chaos right before the tower collapsed. The other four men are merely identified as 2 firemen, 1 EMT, and 1 civilian bystander. What I did confirm is that all 5 survived the attacks. And they are heroes, too. As were many, many folks on that day whose names, and even faces, we will never know. And so, on this day, let us remember not only Fr. 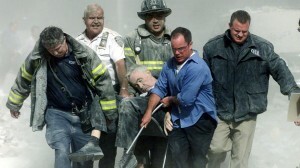 Mychal Judge. Let us also remember and celebrate those anonymous folks who, apparently without a second thought, lifted him up and carried him when that was simply what was needed.